When was Adapt established and did you ever envision its current success? 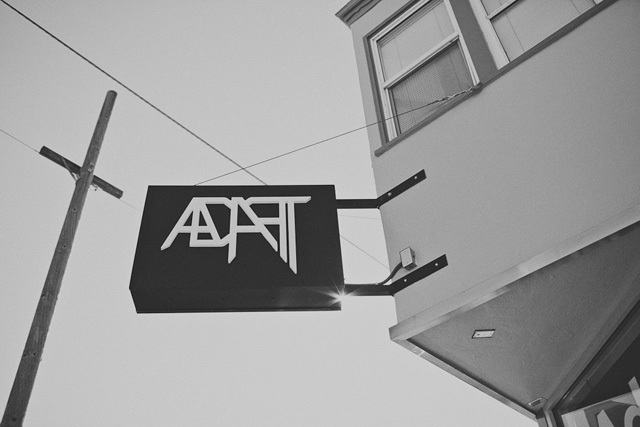 Adapt was established as a brand in 2002, so it’s been around quite a bit longer than people may think. I don’t think I could have guessed at where we would be today, and it’s certainly important that we don’t take anything for granted. Please explain where the name Adapt came from and a brief story behind its inspiration. The name Adapt was conceived of in a High School physics class, during a typical doodling session. It’s a bit hard to picture, but the original logo was a combination of lines and triangles, whereby each letter was represented by a different formation of one line and one triangle. Adapt was the only decent word I could form from these shapes. 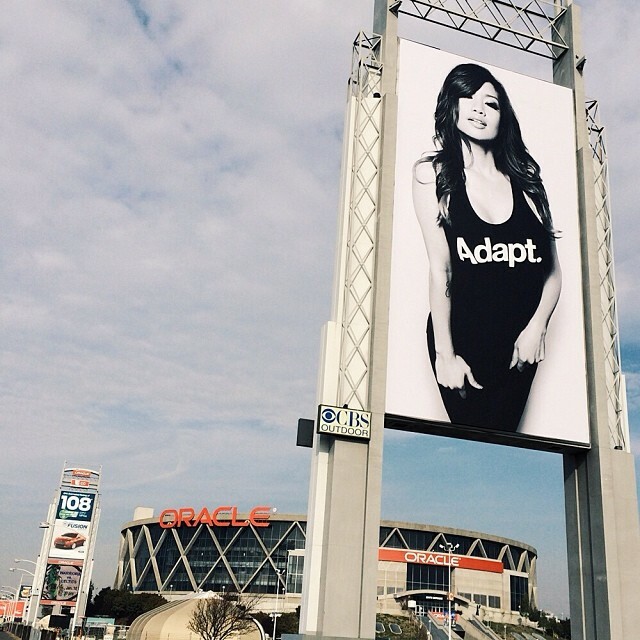 From a seemingly random inception, it is interesting how much Adapt has come to be a quintessential representation of what we stand for. 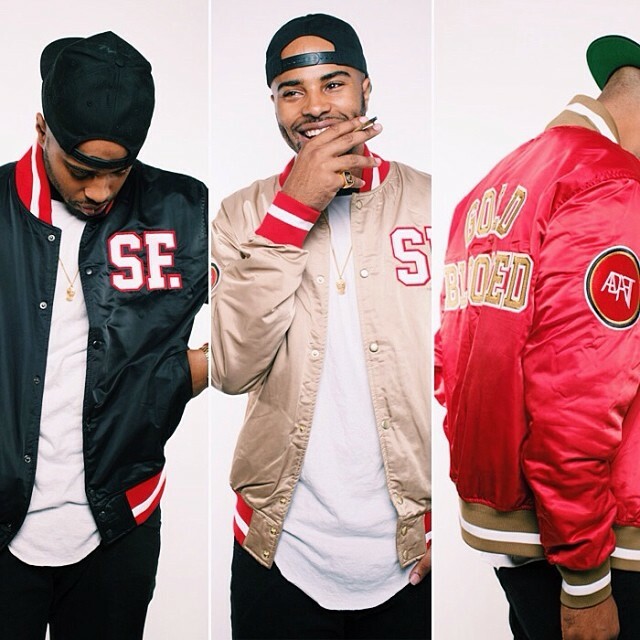 What does it mean to be a Bay Area clothing company these days, and how do you aim to make yourself stand out from the pack? I don’t think there is any one representation of a Bay Area clothing company, when I really look at the what all is out there in the marketplace. We very much identify as a Bay Area brand, and we try to make it a point to do something different and that is unique to our experiences and sensibilities. I think local brands (and brands in general) can be quick to attempt to replicate what they see, and in the sense of longevity and staying power, if they cannot present a consistent message and product that is all their own, they will not last. Name some music artists that are key inspirations behind Adapt and the musical vibe you aim to convey with your releases. Adapt has a history of incorporating music into our products, with an emphasis on local talent. Musical collaborators over the years have included E-40, Hieroglyphics & Souls of Mischief, Quannum Projects, Del the Funky Homosapien, DJ Amen, Zion I, Hopsin & Funk Volume, Equipto, and Hopie Spitshard. With the collaborations we try to capture something that represents Adapt while showcasing something unique about each artist. Outside of the collaborations, we do reference music in many ways as well, if not quite so direct. Do the clothes make the man, or vice versa? I view clothes as an important way for people to outwardly represent who they are as individuals, and what they stand for and want to express openly. I found much of my identity in the types of products that I would seek out and purchase, especially up through my College years, and in interacting with our customers, I think we have created an identity for many in the new generation. This is really what keeps us going as a brand, and keeps me inspired to do what I do. All that being said, at the end of the day I think clothes are just clothes and shouldn’t be taken all that seriously in a world chock full of more serious issues. Plans for the future? Upcoming projects/collaborations? We are always planning for the future, even if I don’t know what exactly that future looks like yet. Definitely more collaborations and fun stuff, and much of what we do is driven by what our customers tell us they would like to see. Thanks to you DJ Platurn, as well as the whole Family at TRUE. We are grateful for the relationship we have been able to build with you guys over the years (TRUE was I believe our second or third legitimate retailer). Thanks to the supporters of what we do. PEACE. Stay up on Adapt Clothing via the following links, and support indy rag slangers!